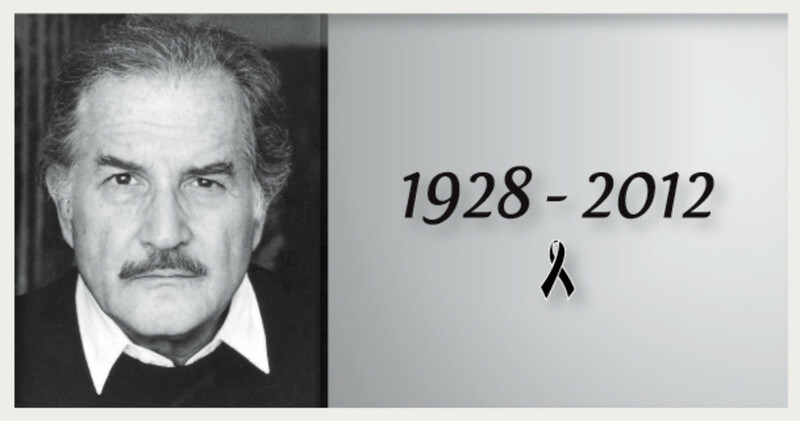 Xavier Villaurrutia Award - 1976 for his novel, "Terra Nostra"
Venezuelan Romulo Gallegas Prize - 1977 for his novel, "Terra Nostra"
One of Mexico's finest writers and one of my favorite to read, especially in college, was Carlos Fuentes Macias. 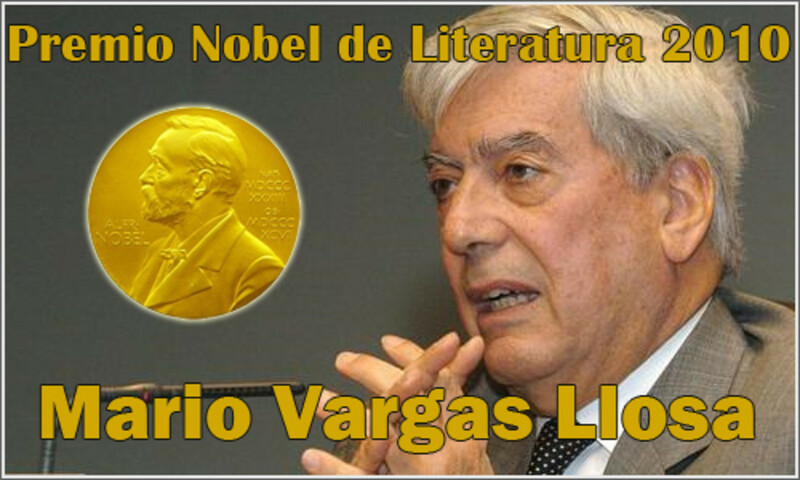 He is Mexico's most distinguished celebrated writer. In fact, he was the most admired writer in the Spanish-speaking world, although sadly he never won the Nobel Prize in Literature, which I believe was a big mistake. He, did, however win many other prestigious prizes for his writings which were prolific. 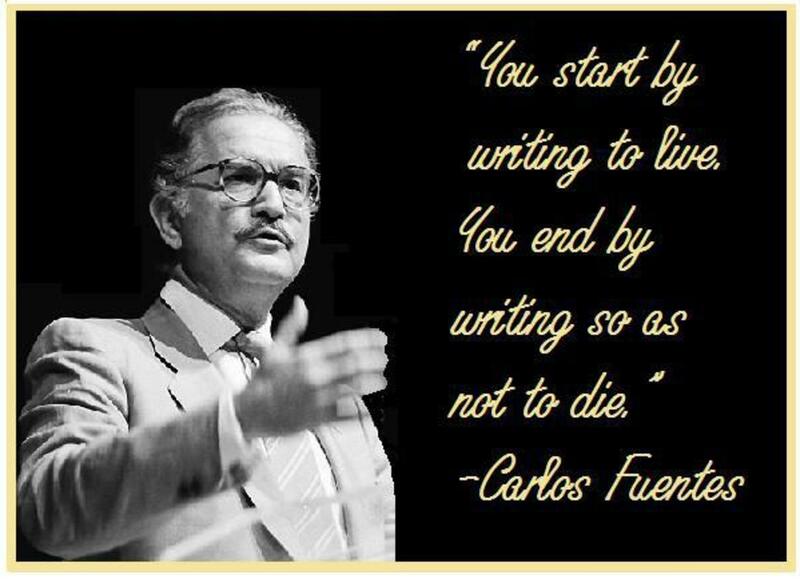 Fuentes wrote short stories, plays, novels, poetry and essays during this writing career. His fiction many times told stories of tangled love. And because he spent his youth, until the age of sixteen, overseas he was able to view Latin America and Mexico itself as a critical outsider. He wrote in almost every genre of writing including opera in which he wrote a libretto. He never wrote an autobiography feeling too much mortality if he engaged in writing one. There have been several biographies written about him and his life. His writing left a deep imprint on Mexican life and the writing world in general. His novels were topical and ambitious and brought alive Mexico's cultural and people for the world to see. He was one of the early writers to use the motif of magic realism which became popular in all of Latin American literature. 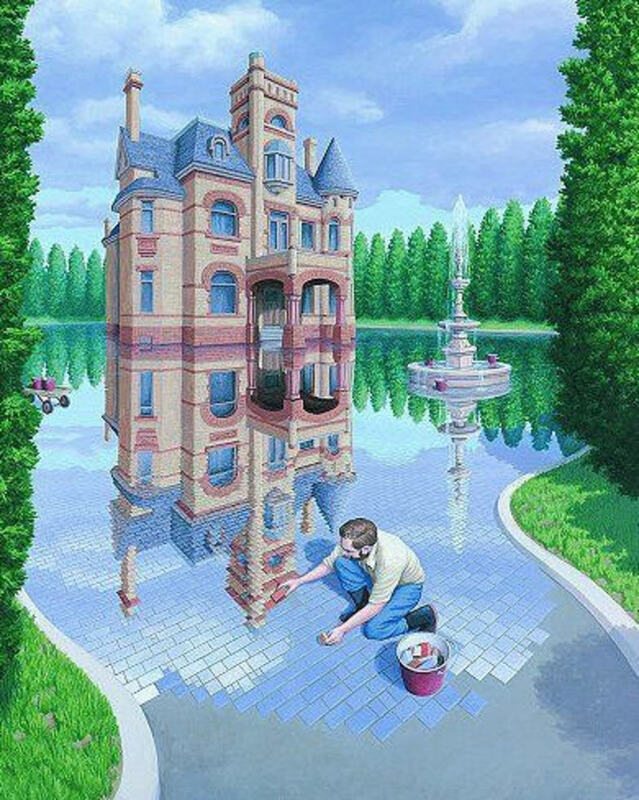 Magic realism is writing and portraying the unusual, surreal, and fantastic as an everyday, mundane occurrence in life. It usually represents or symbolizes a point the author is trying to get across or portray. Magic realism is still used in Latin American literature today. Fuentes was one of the forerunners to use this in his literature. Fuentes was also part of the writing era called 'El Boom', an explosion of Latin American writers from the 1960's and 70's. His contemporaries were Columbian, Gabriel Garcia Marquez, Peruvian, Mario Vargas Llosa , and Argentinian, Julio Cortazar. His political views were important to him and expressing them was important to Mexico. Actually, he was more ideological and idealistic than political. He embraced justice and basic human rights regardless of political labels. And, these ideas were in his writings and a large part of the themes of his novels. Fuentes was a leftist socialist for most of his adult life. For example, he supported Fidel Castro's revolution in Cuba, but ended up turning against Castro when he clearly realized he was nothing more than a corrupt dictator. He always sympathized with the Indian rebels in Chiapas, the southern Mexican state as they also fight for equality and justice and what they view as a corrupt Mexican government. He even weighed in on American politics and felt George W. Bush and his administration were wrong over its anti-terrorism tactics and immigration policies, which he felt were unduly harsh. He was also critical of Hugo Chavez, former Venezuelan leftist leader and called him a "tropical Mussolini" and recognized his corruption in government. His own country of Mexico did not escape his wrath and criticism either. Fuentes was very critical of Mexico's inability to stem it's drug violence. 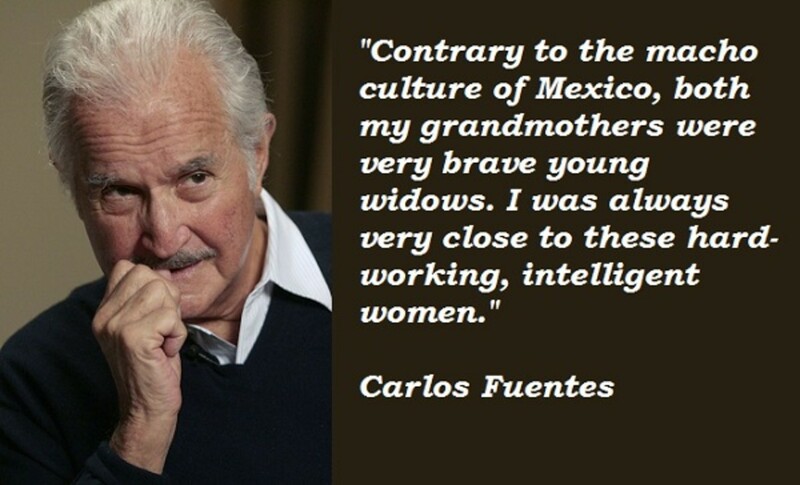 Carlos Fuentes was born in 1928 in Panama City, Panama to Mexican parents. His father, Rafael Fuentes, was a member of the Mexican diplomatic corps and so he lived his first sixteen years outside of Mexico and in different foreign embassies. And much of his youth was spent in several South American countries and the U.S. In 1936, his family was transferred to Washington DC where he learned to speak English fluently and attended public schools. By 1938, Mexico nationalized its foreign oil holdings much to the dismay of the U.S. In fact, there was a national outcry from the U.S. because of its neighbor's socialist decisions rather than capitalistic. Fuentes was ostracized by his American classmates because of Mexico's action. 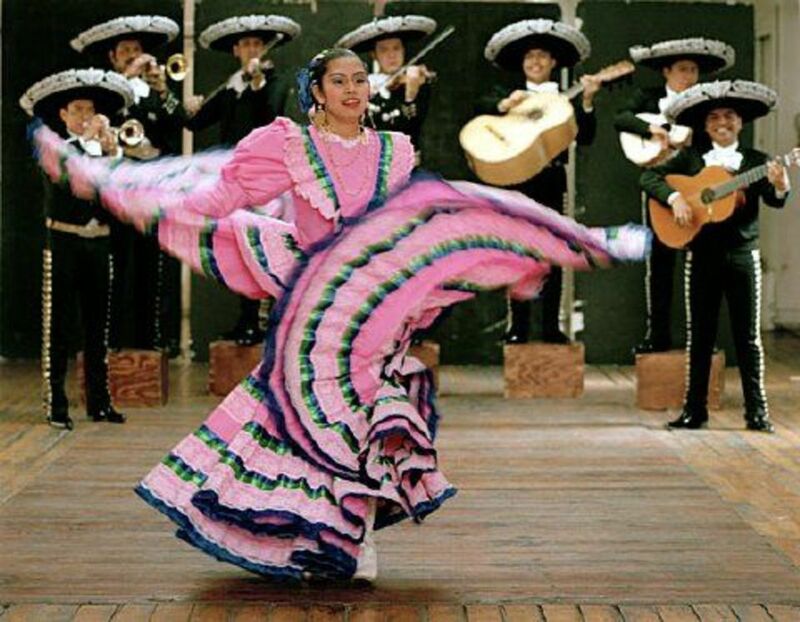 Fuentes later said this was this event in his life when he began to understand himself as Mexican, and it was this nationality that was written about so much in his novels. He also said he chose to write in the language of his father because he believed Spanish offered him more flexibility and meaning. In 1940, the family again was transferred and this time to Santiago, Chile. It was here, that Fuentes began his writing career. He was published in several school newspapers and literary magazines. Fuentes credited these stories from his grandmothers as inspiring him to write and become a story teller also. His parents were supportive of his decision to have a writing career, but his father insisted he study law which he did. He studied in Mexico at the National Autonomous University of Mexico in Mexico City and also studied in Switzerland. During this time he also wrote for the Mexican newspaper, Hoy (Today) and began writing and publishing short stories. 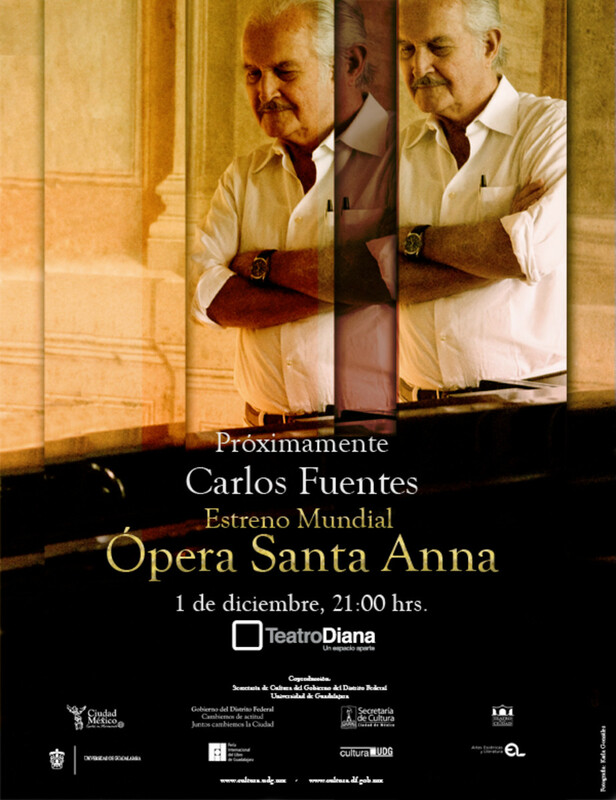 Fuentes felt it was through writing literature that his voice could be heard. When he had finished his law degree, Fuentes then entered the Mexican diplomatic corps. 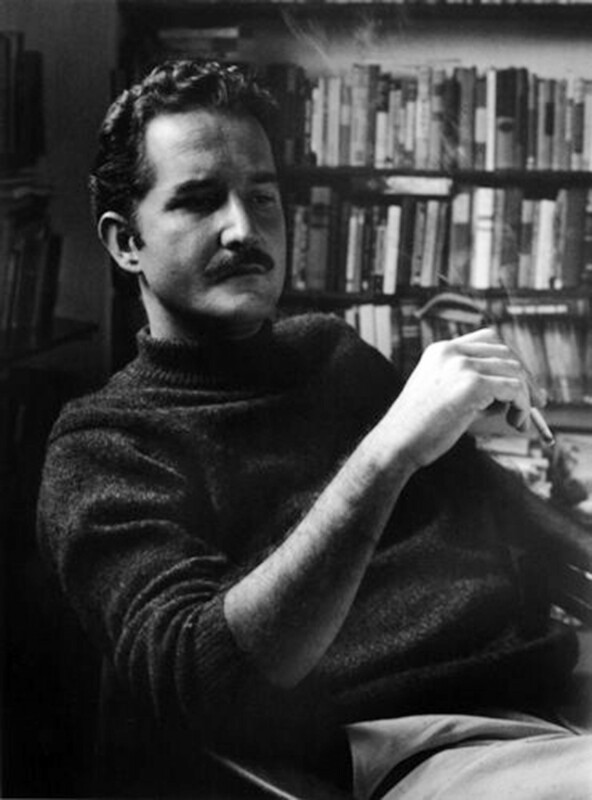 Have you ever read anything written by Carlos Fuentes? 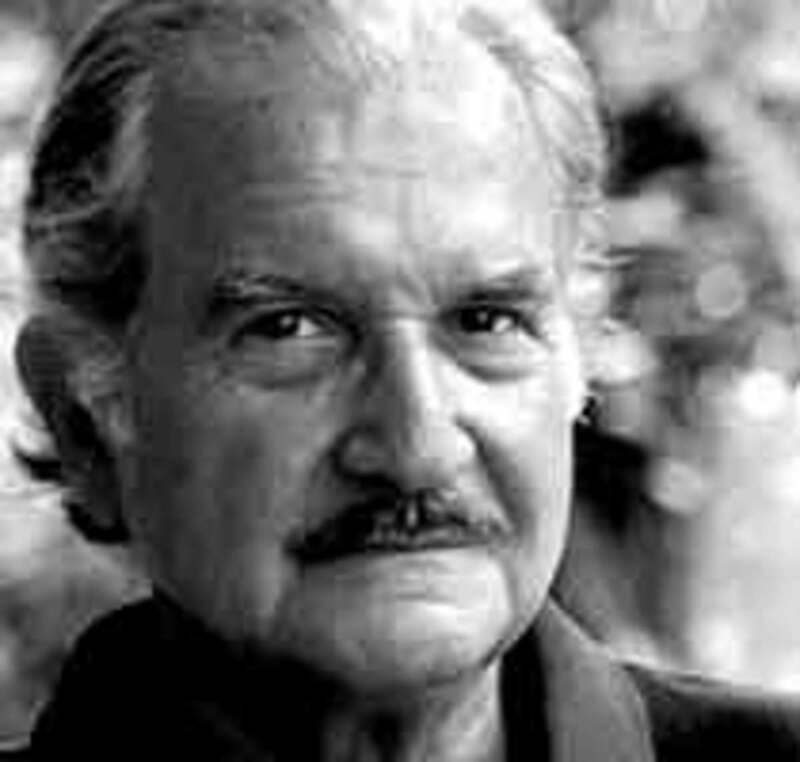 Carlos Fuentes traced the history of modern Mexico and Mexican culture during his writing career in his layered stories that explored the universal themes of love, memory, and death. He wrote his first novel, Where the Air is Clear (1958) and it became an immediate success and literary sensation in Mexico. It was a biting social commentary with interior monologues with portrayals of the subconscious. It is the story of a man, Federico Robles, who abandons his revolutionary ideals and becomes a powerful financier. The novel is a portrait of the inequality and moral corruption in modern Mexico that Fuentes had observed. This novel established Fuente's writing reputation and he left the diplomatic corps to devote all his time and energies to writing. In 1959, Fuentes moved to Havana, Cuba at the height of the Cuban Revolution. Here he wrote pro-Castro articles and essays until he became disillusioned with Castro and saw him for what he really was - not interested in establishing true socialism, but in establishing a corrupt Communist dictatorship. He then returned to Mexico and worked on his next novel, The Good Conscience (Las Buenas Consciencias). This novel was the illustration of the privileged middle class. It was about a privileged young man whose impulses toward social equality are suffocated by his family's materialism. It was described as "the classic Marxist novel." Next, he worked on his masterpiece novel, The Death of Artemio Cruz which was published in 1962. It is the story of his character, the same name as the title, as a bedridden ailing newspaper baron who looks back at his life and his climb out of poverty to his heroic exploits in the Mexican Revolution. Cruz realizes his failure in seeing through the revolution and continuing to support the promise of a more egalitarian Mexican society. He realizes the grand failure of the revolution was in allowing the new government and society to become so corrupt. This is considered Fuentes' greatest novel. Through the heavy use of interior monologue and explorations of the subconscious he paints a portrait of the inequality and moral corruption of modern Mexico. In writing this novel, Fuentes was influenced by the work of American filmmaker, Orson Wells and his film, Citizen Kane. Fuentes uses many literary parallels that Wells used in his film - close up, cross cutting, deep focus and flashback. Fuente's independent thought and reputation for supporting leftist causes and revolutions led to his being denied visas to enter the U.S. in the 1960's. It was not until 1967, with the intervention of the U.S. Congress, that his travel restrictions to the U.S. were lifted against him. He then traveled to the U.S. and taught at several Ivy League Universities: Brown, Princeton, Harvard, Columbia, University of Pennsylvania, Dartmouth and Cornell. In 1975, Fuentes was appointed Mexican ambassador to France, but resigned two years later. His resignation was to protest the appointment of Gustave Diaz Ordaz as ambassador to Spain. When Ordaz was president of Mexico in 1968, he ordered Mexican troops to open fire on student protestors in Mexico City and Fuentes disdained this action and Ordaz as a person. I guess Mexico had its own "Kent State shootings". In 1985, he wrote and published The Old Gringo, which received wide recognition in the U.S. It was the first book by a Mexican novelist to become a best-seller north of the border. It is the convoluted tale about American writer, Ambrose Bierce, who disappeard during the Mexican Revolution of 1848. It explored the ways in which revolutionary ideas eventually become corrupt. The Old Gringo, was made into an American film in 1989, starring Gregory Peck, Jane Fonda, and Jimmy Smits. In 1975, he published his most ambitious novel, Terra Nostra, which tells the story of all of Hispanic civilization. That is a huge, huge subject to cover. In this novel, Fuentes shifts between the 16th and 20th centuries seeking roots of contemporary Latin American society and the struggle between the conquistadors and indigenous Americas. Fuentes wrote his last novel in 2011, Destiny and Desire, which is a sprawling work. 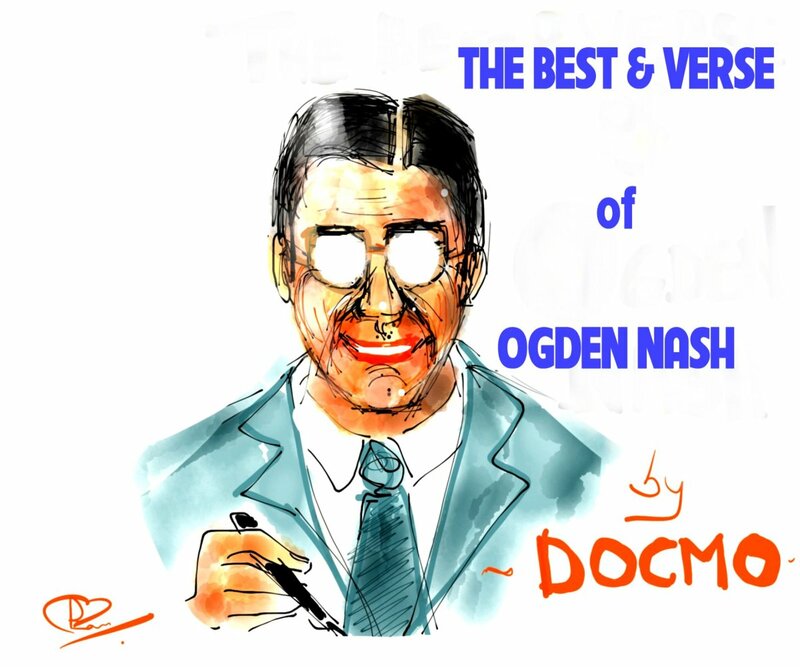 It is a comedy, satire, allegory, fantasy, and brilliant political commentary. 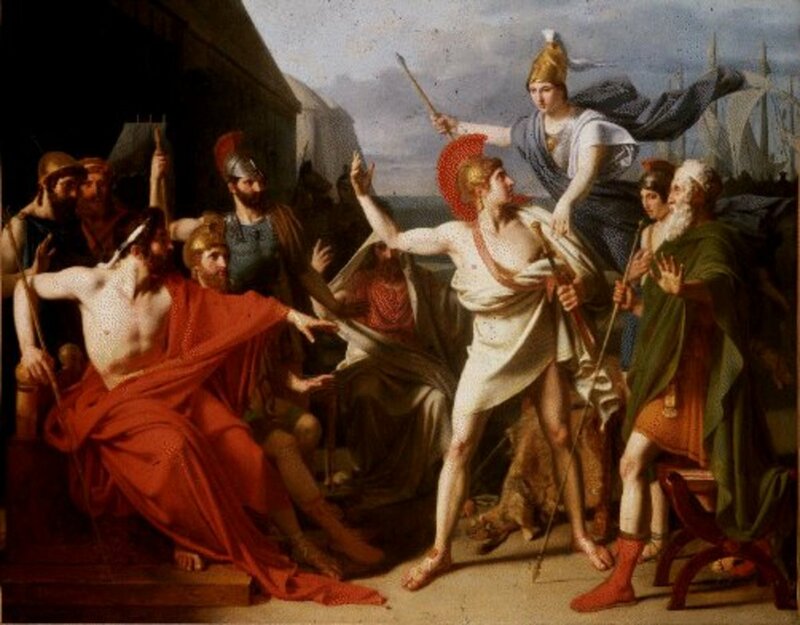 It is a partial parody of the novel War and Peace, a novel that competes with history. In this written work, Fuentes makes coded allusions to recognizable celebrities and evokes the work of Spinoza and Machiavelli. It also includes ghosts, graves, murders, and a talking severed head. The severed head is a victim of the Mexican drug gang wars and through this novel he speaks openly about the Mexican drug gang wars and their torture and brutal killings and duly criticizes the Mexican government for not doing more to stop this scourge in his country. All his writings left an indelible mark on Mexican writings and culture and portrayed the modern Mexican life and culture for the rest of the world to see. He is one of Mexico's most important writers and leaves behind so many novels and short stories that also tell the history of Mexico, its people, and culture for all of us to learn from and enjoy. 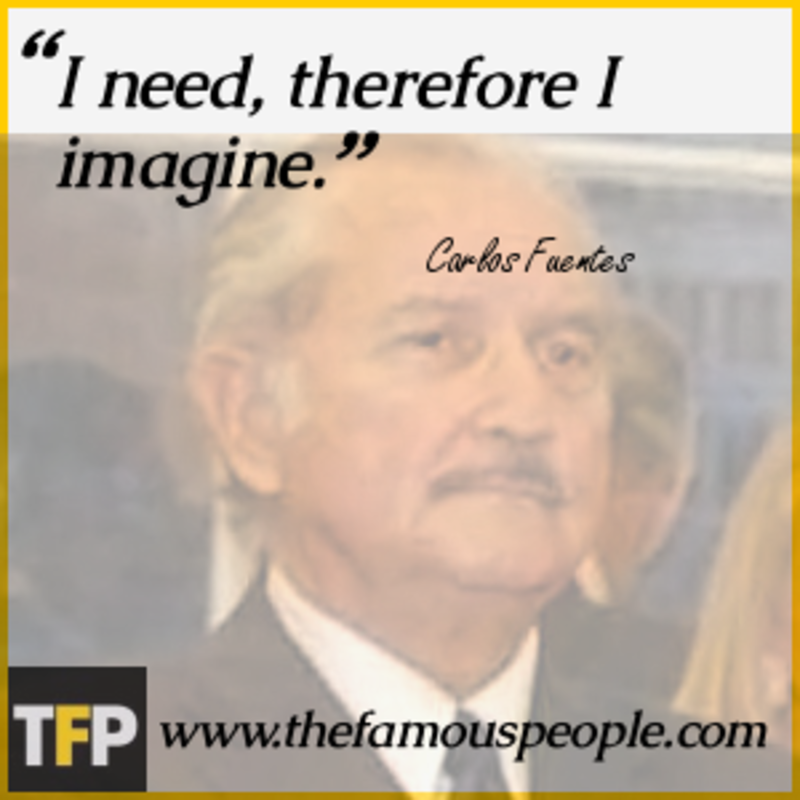 Carlos Fuentes is Mexico's quintessential writer, author and novelist. 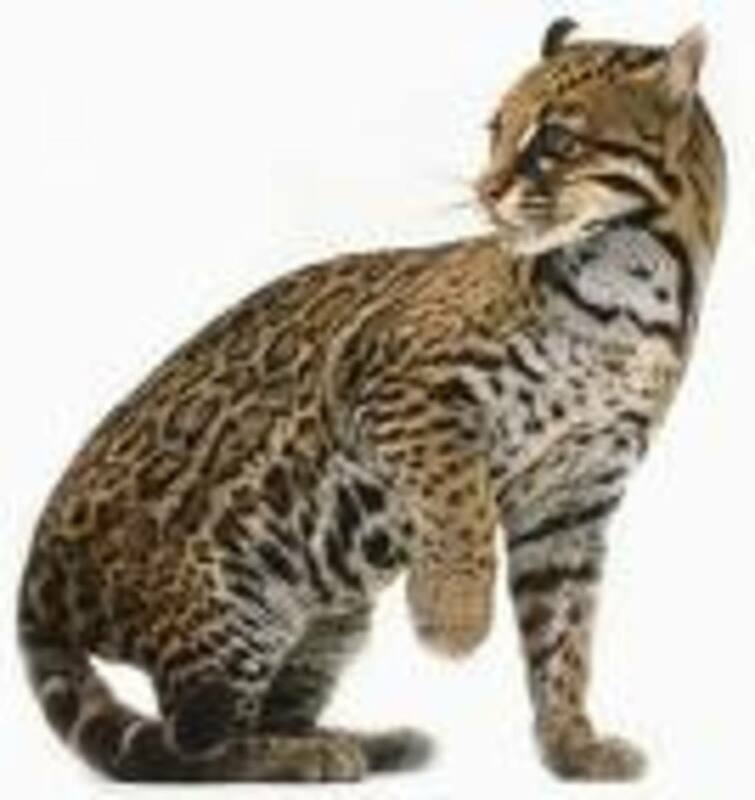 Mexico's Wilderness Provides a Safe Haven for Several Species of "Big Cat," like the Jaguar. Mike, you have read Fuentes. Good. I have read his short stories, but not his novels. I need to do that! I do like him and think he is so talented and sometimes doesn't get the accolades that he should. I thought he should have won the Nobel Prize during his lifetime because his works are just as good as the other Latin Americans. Thanks for reading this. Hello Suzette, I found The Old Gringo a very interesting read. 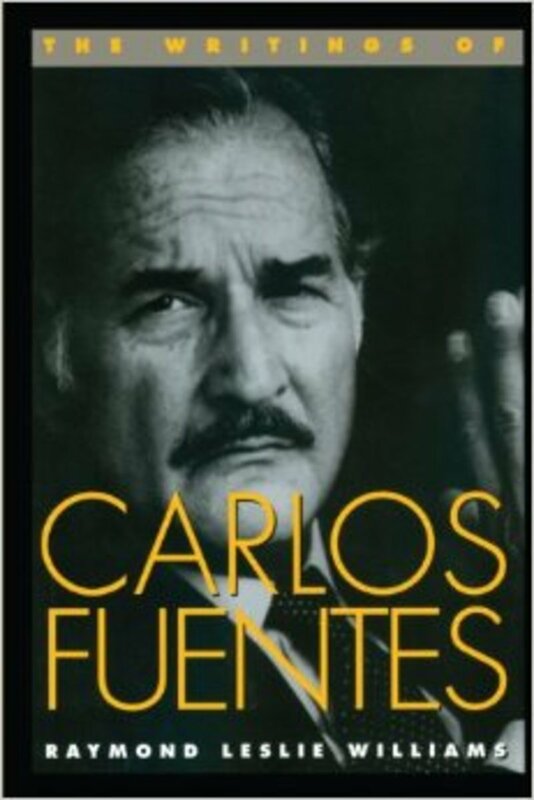 Carlos Fuentes is a talented author. Oh, wait, you know that. teaches: I read his short stories in college and always liked them. My professors were from Spain and Latin America - Mexico, Bolivia, and Argentina so I guess they made us aware of Fuentes. Plus, I studied Spanish in Guadalajara, Mexico and at the time Fuentes was all the rage there. I wish they would have given him the Nobel Prize as I feel his writings were just as important as the others. Of course, Garcia Marquez I still consider the best of them all, but I just love his use of magic realism in all his writings. I don't remember studying Fuentes in college Spanish classes, but I hope that they do list him as important to literature. Very interesting hub on this writer. Eddy: Thank you for reading and for your comments. Glad you enjoyed this! So interesting Suzette and thank you for sharing. Kim, thank you so much for your lovely comments. I am so glad you enjoyed reading this. Marquez is probably my next hub. It has taken me awhile to get around to these Spanish speaking authors. The original magical realist - well that could be up for discussion. I learned Fuentes, but it could be Marquez - who knows. They were both writing at the same time and both using magic realism in their writing. I will say Marquez' 100 Years of Solitude was published in 1967 or there abouts, and it was a more popular novel so maybe that's how he got credit for it. I really didn't get into Marquez' writings until he won the Nobel Prize which was in the 80's. Regardless, they both were brilliant at using it in their novels and it is mostly a Latin American writing motif. You are so sweet as I would love to lunch with you too. There is so much we could discuss! I so enjoy your writings too. 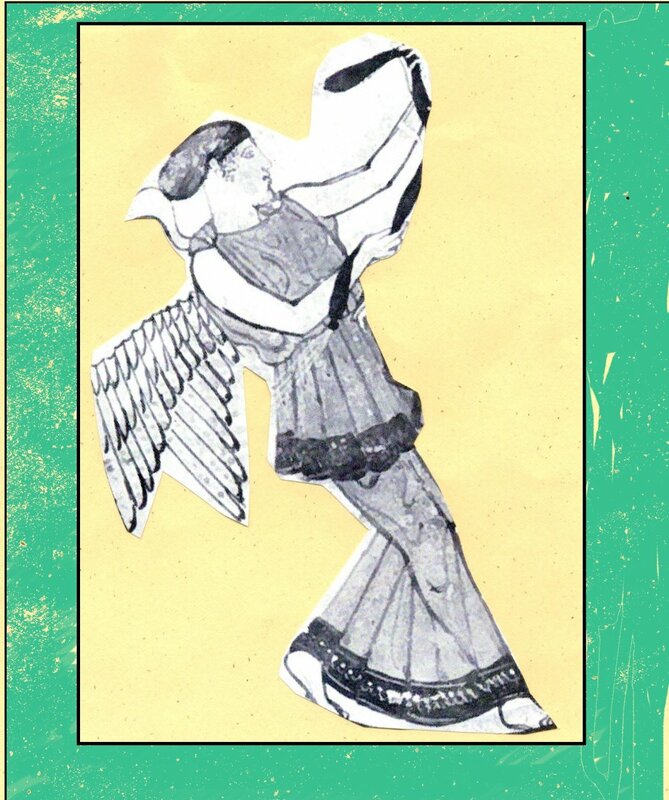 I just finished a hub on Octavio Paz you can peruse when you have time. Per usual, a fascinating hub about a fascinating writer written by one of my favorite writers. Smiles. Though somewhat familiar with Fuentes, I am more aware of Gabriel Garcia Marquez. I had always thought Marquez was the original magical realist. I am wondering why my college professors lead me to believe so. Naturally, this is a stellar hub worthy of V+/share. Plus, I just want to say an extra thank you for being such a supportive friend. Like I told another hubber, I wish you lived close by so that I could treat you to lunch. Thanks for being you. Genna: I particularly like that quote also - I think it is so true of all of us here that write. Thanks so much for your insightful comments and I'm glad you enjoyed this hub. 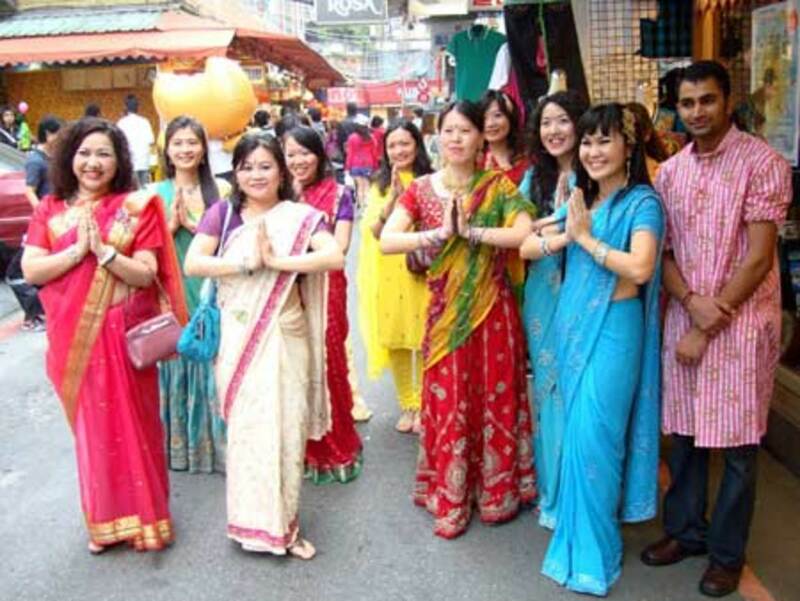 Thanks for your visit - most appreciated. Thank you Faith, and I am glad you enjoyed reading this. Yes, his novels are fascinating and really do give a good portrait of what it means to be Mexican and all that goes with it. Mexico has had such a revolutionary history with the peasants constantly trying to fight for equality and the governments being so corrupt and he portrays this in all his writings. Thanks so much for your comments and as always they are most appreciated. Excellent write of a fascinating man and writer! After reading your wonderful piece here, I want to read his work for sure. Beautiful work as always, dear suzette. Thank you, Jo. Glad you enjoyed this and thank you so much for reading and for your comments. An interesting read, and a new fascinating author to sample. I'll be looking out for his books in the future. Excellent work as always. cmoneyspinner: Thanks so much for your visit and I'm glad you could make his acquaintance! LOL Thanks so much for pinning this and I am glad your enjoyed this and found it interesting. Bill: I so glad you read this and found it interesting and informative. He is really the best writer in the Spanish-speaking countries. I read many of his short stories during college and he is such a good writer. Thanks so much for your visit - most appreciated. Met somebody I never knew today. I collect and share biographies and bi-snapshots via Pinterest. Pinned this! What a fascinating man and what a wonderful mini-biography. I was unaware of this man so thank you for the information about him.